A crowd favourite whether he is representing South Africa or when he is playing in the Indian Premier League, County Cricket or the Pakistan Super League, Lahore-born Imran Tahir never fails to impress with his enthusiasm and desire to succeed for his team. Playing international cricket and league cricket with the same vigour, day in and day out is an art-form that Imran Tahir seems to have mastered which he puts down to his continued passion for the game. 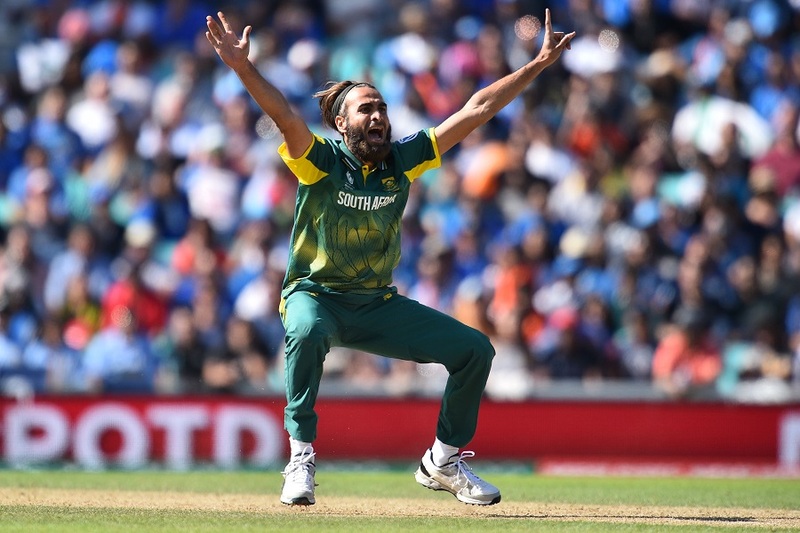 The unbridled pleasure that Imran Tahir derives from every wicket he takes can be measured by the intensity of his celebrations and it is something even he finds hard to explain. The 2019 World Cup is looming large in the eyes of many cricketers around the world and Imran Tahir has high hopes for his team South Africa who have an unenviable reputation for being the perennial under-performers in such tournaments. In recent times, South African sides have suffered due to the retirement of Morne Morkel and the unavailability due to injury of Dale Steyn which will become a permanent situation after the World Cup in 2019 in white ball cricket. Imran Tahir’s words of gratitude are indicative of how the nation feels regarding both South African stars. Shadab Khan’s rise as a formidable leg-spin option in international cricket has not gone unnoticed by Imran Tahir who praised the 19-year-old bowler for his special all-round talent and sees a special future for the teenager. Adil Rashid’s selection for England’s Test squad for the series against India seems to have caused no end of controversy, especially since the spin-bowler had given up red-ball cricket for his County, Yorkshire. In Imran Tahir’s mind though, there is little doubt about Adil Rashid’s abilities and concerns on his suitability for Tests are totally unfounded and based on misconception. The England-India Test series is a mouth-watering prospect for the connoisseurs of the game where some of the world's best batsmen such as Joe Root and Virat Kohli will be showcasing their skills under immense pressure but what does it actually take to bowl to and dismiss such top-class batsmen? Imran Tahir has the answers. Whilst England go into the 5-match Test series with an edge due to their immense home advantage, it would be foolhardy to declare any one side as absolute favourites. The quality of bowling and batting power that both sides possess is likely to make this a series to remember and one that Imran Tahir will relish and watch with great interest, “I'm very excited about the England versus India Test series, it should be a great battle and the fans will see some hard-fought and excellent cricket. I wish both teams well and I hope both teams play the series in the right manner and in a way that is good for the game. May the best team win,” he concluded. Some great comments by Imran regarding Shadab as not only a bowler but an all-rounder. I feel that Imran could still serve Pakistan once he retires as his experience can be used for the benefit of Pakistan cricket. After Tahir himself, Shadab is clearly the best leg-spinner in LOI’s. Next best is probably Sodhi. I think Rashid Khan is a good limited over spinner too. Probably better then Shadab at the moment. He needs a few games against non-minnows to establish himself further. I like YS even though he hasn’t been good in ODIs but I love that guys energy And passion..
What a thoroughly professional guy Imran Tahir is. A really nice guy, no ego and very approachable. I think leaving Pakistan has done wonders for his career. All times are GMT 5.5. The time now is 07:59.